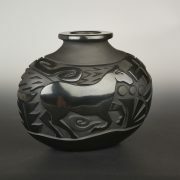 This is a wonderful new jar by Richard. 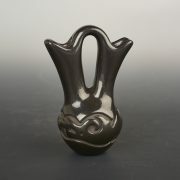 One of his smaller works, it is called a “banner” pot. The colors are beautiful in this piece, blacks, terra cottas, reds and oranges. The plain polished lip and neck set off those corrugated colors so attractively. This jar is remarkably lightweight. It is so special to have Richard’s work in this size. Born in 1955 in Augusta Georgia, Richard Zane Smith is regarded as one of the most unique contemporary potters. 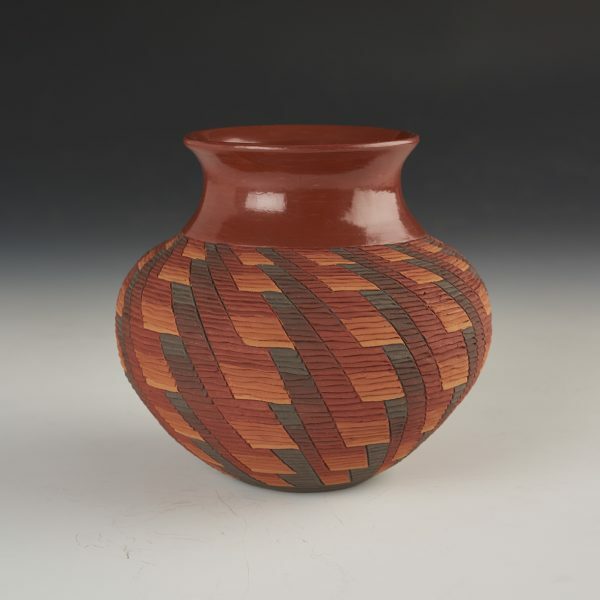 Richard Zane Smith is a potter of Wyandot whose remarkable pots consist of small hand rolled coils of natural clays, which inspired by prehistoric corrugated pottery of the Southwest which then is slip painted. His pieces look like beautifully woven baskets – but when one looks closely, you realize that they are actually works of clay, in Richard’s own unique style of corrugation. Richard was inspired by corrugated shards from hundreds of years ago. 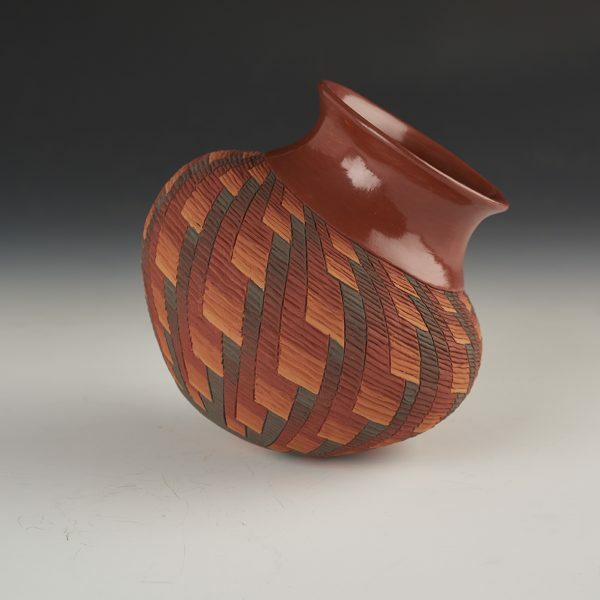 His work is easily identifiable, as he often adds contemporary intricate designs using fascinating color combinations and added materials like stone and wood.